What do checking in at the airport with a backpack and trekking on rainy days have in common? 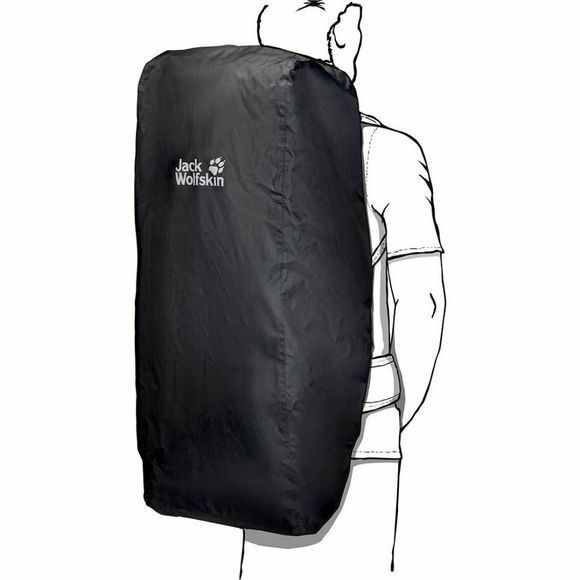 The Transporter 2in1 45-65L from Jack Wolfskin! This clever backpack cover is fully waterproof and has an all-round zip. It protects your pack in the luggage hold and keeps your belongings dry when trekking in the rain for days at a time. It can be adjusted to fit the volume of your pack using the handy draw cord.